What is a 'Lion' worth ? This Saturday’s second test match against New Zealand is a must-win encounter. Anticipation is high. It's the second match of a three match rugby union series pitting the best players from Ireland and the UK against the world's greatest team - the All Blacks - on their home turf in New Zealand. My phone is buzzing all week with WhatsApp messages about squad selection and tactics. I sat down to read an expert’s column in a Sunday newspaper and stumbled across the figures in Cristiano Ronaldo’s alleged tax evasion scandal. It got me thinking comparatively about the commercial value of rugby. It is alleged Ronaldo, the world’s best footballer, intentionally did not declare income of €28.4m related to image rights between the period 2011 to 2014. He reportedly received €78 million for all his image rights for this period and it is alleged that he has defrauded Spanish tax authorities by €14.7 million. What are the best rugby players in the northern hemisphere (the ‘Lions’) worth? The answer is £290,000 per player on average (or £11.9 million for the entire 41-man squad) based on salaries earned from the 2014/5 season. The current New Zealand squad - considered one of the great sporting teams in the world - is worth less. Just £250,000 per annum per player on average. At least the lions are winning the financial battle. Ronaldo is worth more than the entire Lions squad or the entire New Zealand squad put together. He earns a salary of £365,000 per week or £15 million per year. Even the average premiership footballer (who receives an average salary of £2.29 million per annum) is worth 8 times more than the best players in world rugby. It would take just two Manchester United squad members (who earn an average wage of £6 million per year) to earn the equivalent of the entire 41 man Lions squad. What is a win on Saturday worth to a Lion’s player? Saturday’s test match is one of sport’s great challenges. So what is a victory worth? £10,000 – for a series win (i.e. winning the next 2 matches)! Again, for perspective, the Real Madrid squad (including Ronaldo) earned a reported £1.3 million for their recent win in the UEFA Champions League. 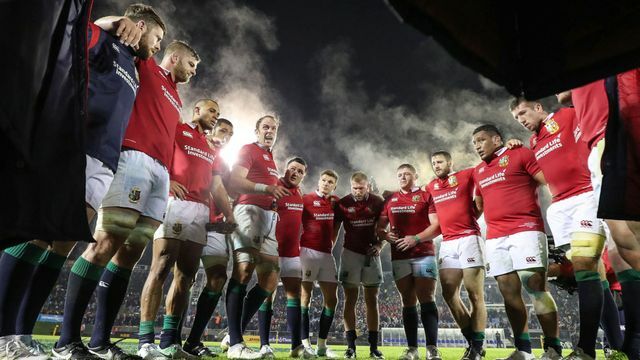 The lions are paid a £70,000 tour fee for the six week tour. This is triple the figure earned by the 2005 touring party to New Zealand (under Brian O’Driscoll’s captaincy) – so things are moving in the right direction. Finally, you might spare a thought for the lawyers. Well - Not even a place on the plane it seems! Let’s hope for a great match on Saturday, a greater recognition of the value of great rugby players and more lawyer - free tours!! Analysis by Esportif Intelligence of the combined basic salaries of the 41-man squad based on data collected since the 2014/15 season claims that Gatland’s squad has a total value of £11.9 million.